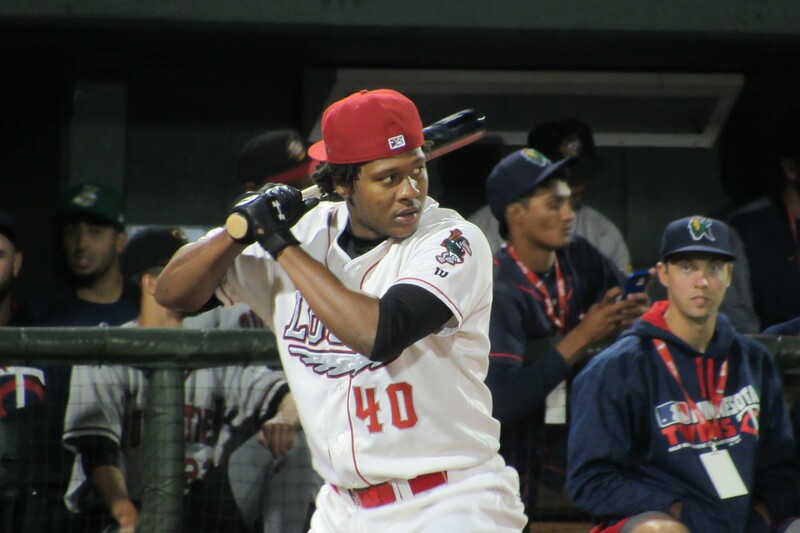 Great Lakes Loons outfielder Carlos Rincon blasted 38 home runs — including 20 in the final round — to win the Midwest League Home Run Derby in front of a favorable crowd at Dow Diamond. He faced Lansing Lugnuts third baseman Vladimir Guerrero Jr. in the final round. Guerrero went deep 24 times during the three-round competition, but managed only five homers in the last round. Also participating in the contest were Fort Wayne TinCaps shortstop Fernando Tatis Jr., West Michigan Whitecaps first baseman Blaise Salter, Whitecaps third baseman Josh Lester, Bowling Green Hot Rods outfielder Jesus Sanchez, Loons infielder Brendon Davis, and Kane County Cougars outfielder Marcus Wilson. The Home Run Derby lasted longer into the night than planned because of periodic rain throughout the evening. 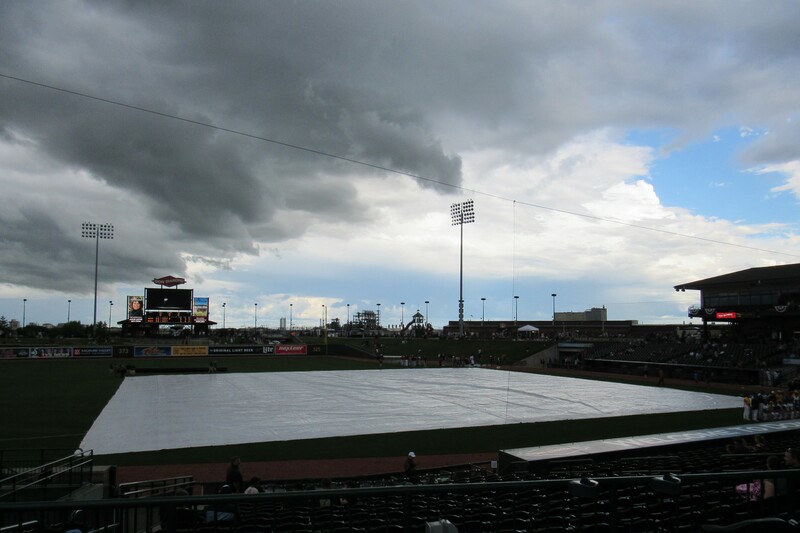 Heavy rain delayed the start of the contest and caused a second delay two batters into the derby. Some lighter rain fell later, but the contest continued through it. 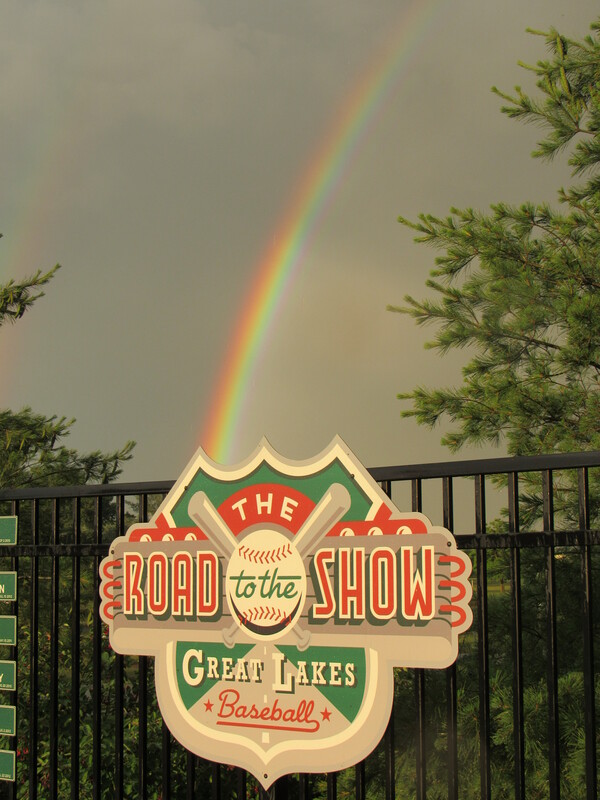 This entry was posted in 2017 All-Star Game, Bowling Green Hot Rods, Fort Wayne TinCaps, Great Lakes Loons, Kane County Cougars, Lansing Lugnuts, Midwest League, West Michigan Whitecaps. Bookmark the permalink.